You have a second chance to own this beautiful home! 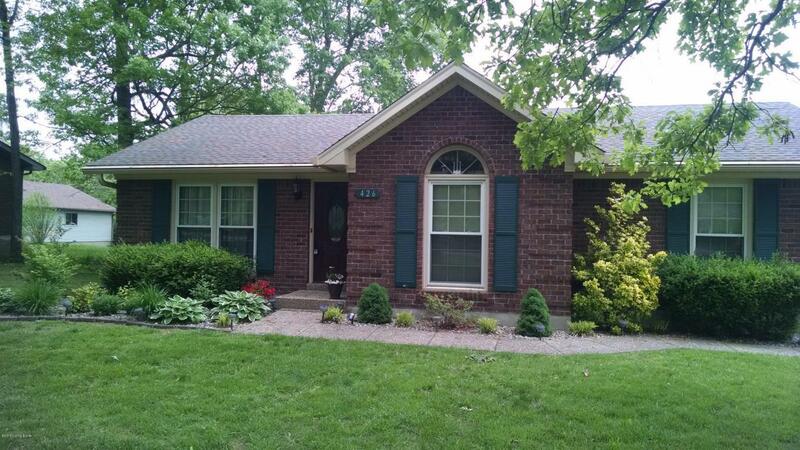 Welcome to this extremely well maintained brick home! You'll love the newly renovated kitchen with it's stone back-splash and granite counter-tops. All stainless steel appliances less than 1 year old complete with 3-year transferable warranty. Large lighted pantry. Off the kitchen is a beautiful Champion Four Seasons sunroom. Separate laundry room. Washer and dryer remain. On the outside, you'll find a generous meticulously landscaped corner lot with a major portion fully privacy fenced and contains a lovely patio area. In addition, there is an outside shed for storage. Gutter Magician gutters means no maintenance! Attached two car garage. Transferable home warranty for 1 full year provided. Must see to appreciate!